Ships tomorrow if you order in the next 18 hours 51 minutes. Piper nigrum, or black pepper, is a very well-known spice. It is known to support digestion and has the ability to reach the smallest body channels to remove accumulated toxins. Black pepper makes a warm and spicy essential oil that may relieve sore muscles and joints. 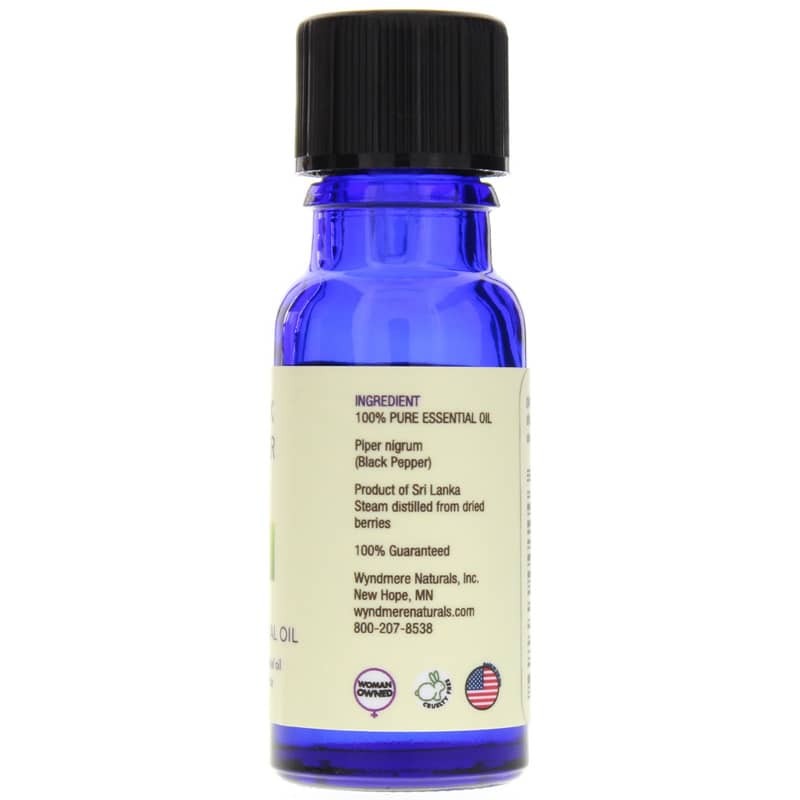 Wyndmere Naturals offers a stimulating aromatherapy oil called Black Pepper Essential Oil that helps soothe minor muscular aches and pains. Please use with care in diffusers or misters. 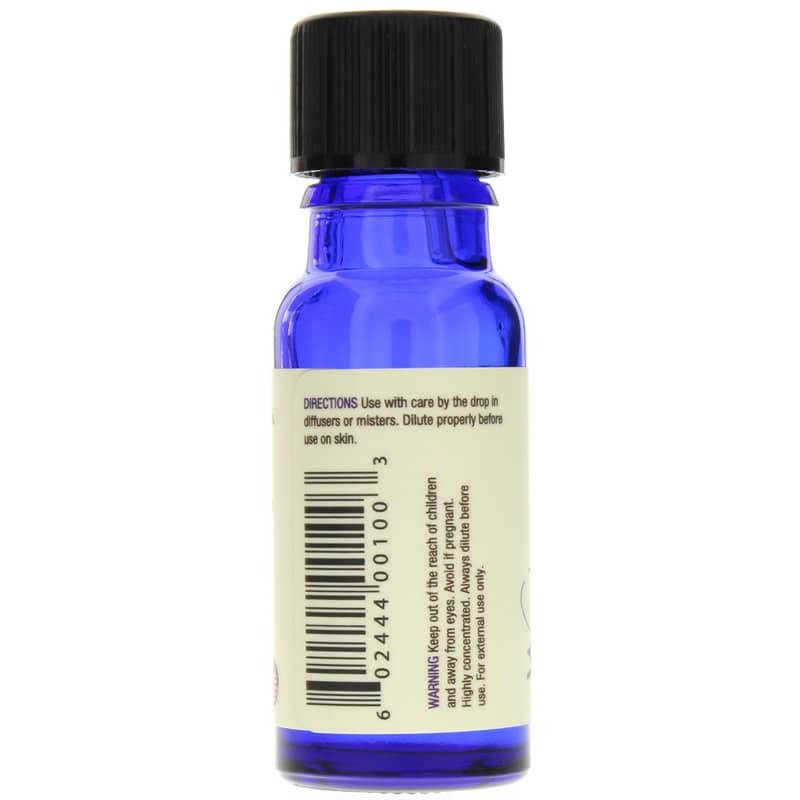 Always dilute this oil before use on skin. 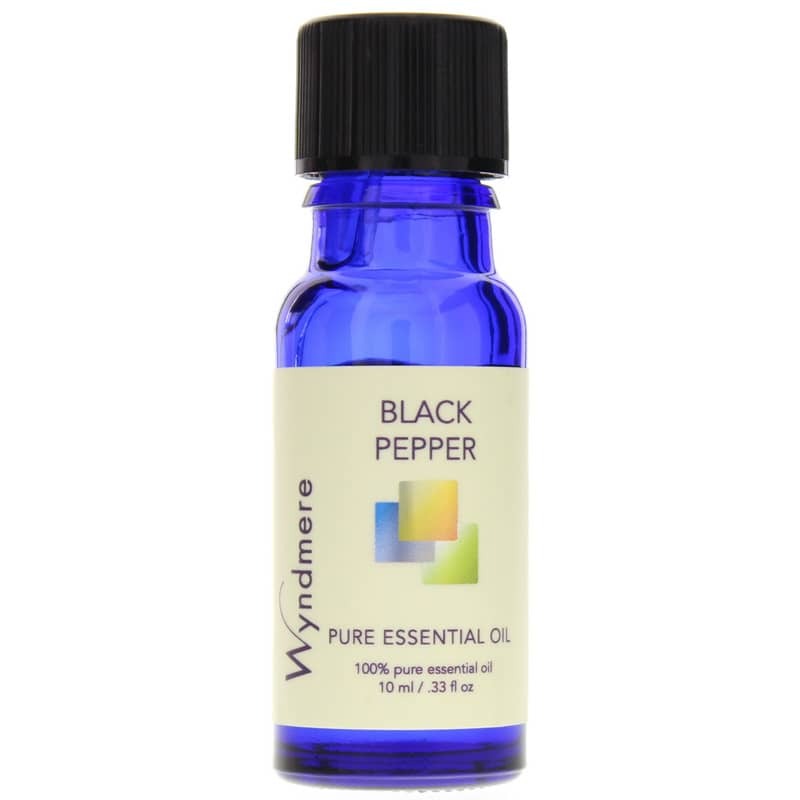 If you're looking for a stimulating aromatherapy oil that helps soothe minor muscular aches and pains, check into Wyndmere Naturals' Black Pepper Essential Oil. Order online today! FOR EXTERNAL USE ONLY. Keep out of the reach of children and away from eyes. Highly concentrated. Always dilute before use. Skin irritant in high concentrations.